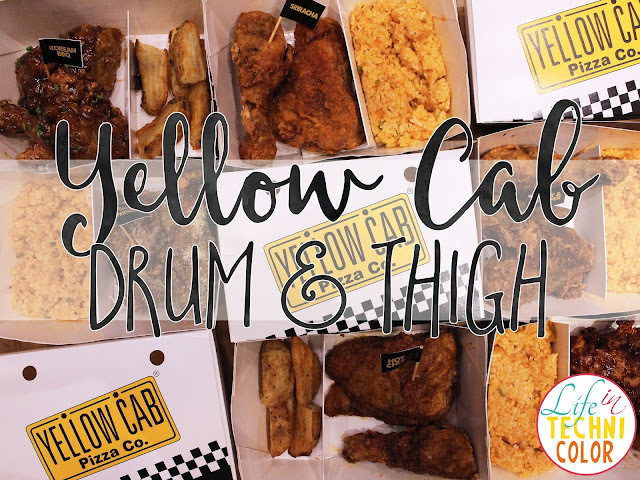 Yellow Cab Pizza Co. is back at it again with the launch of the new Drum & Thigh! 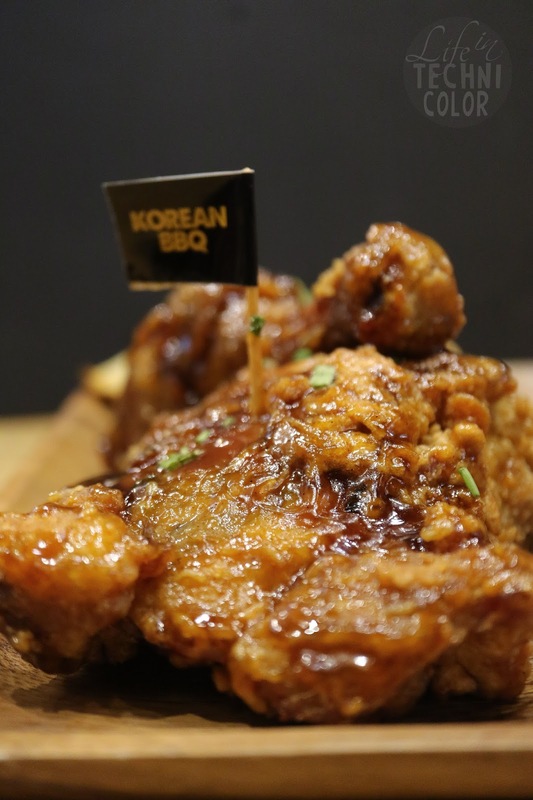 Starting at Php 189, enjoy two huge servings of fried flavored chicken! Take your pick from six explosive flavors: Sriracha, Salt & Pepper, Hot Chix, Korean BBQ, New York BBQ, and Garlic Parmesan. 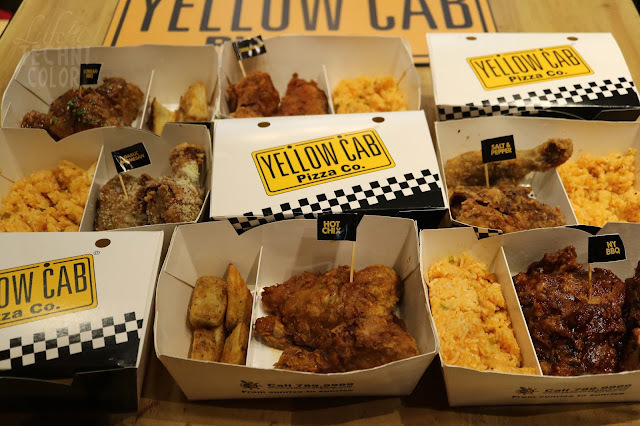 As much as I enjoy Yellow Cab's pizza offerings, I also really love their Charlie Chan pasta (it's my favorite item on their menu!) Some love their wings, some, the Hustlers. 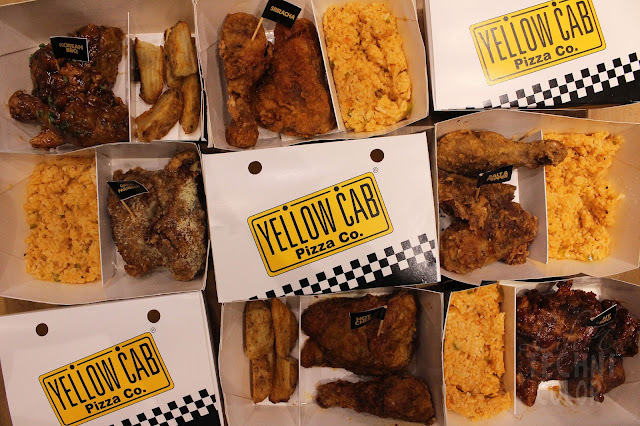 Bottom line is, it's not enough to just have pizza at Yellow Cab. 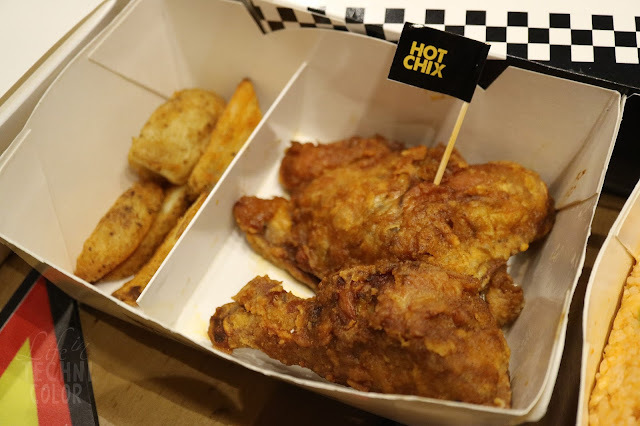 In line with the brand's mission to #FuelTheHungry, they're upping their chicken game to bring chicken lovers their signature wing flavors in sizes made for the big boys and girls! 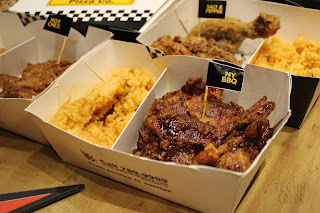 The Drum & Thigh is available in all Yellow Cab branches nationwide starting at Php 189 for an ala carte meal and Php 239 with a side of Italian Red Rice or Baked Potato Wedges. Fuel up with the new Chicken Drum & Thigh Boom Bundles Promo! 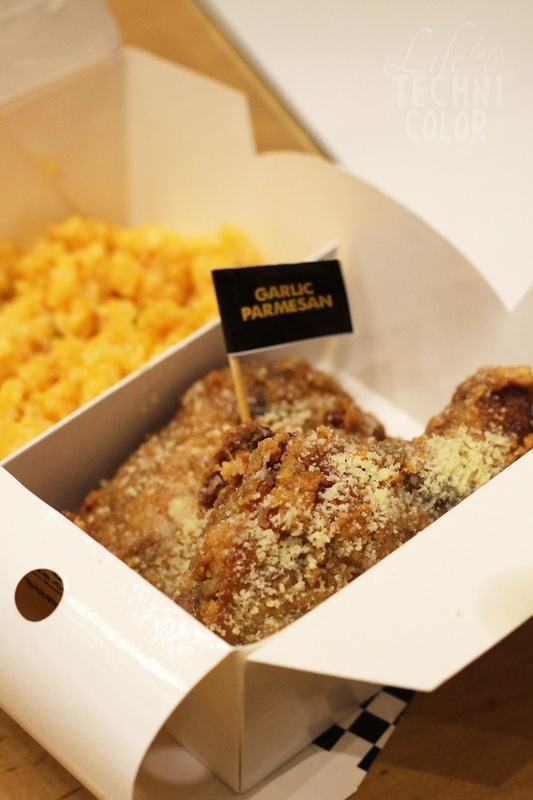 For Php 789, get 3 orders of Drum & Thigh with Baked Potato Wedges or Italian Red Rice, and 1.5L Soda. For Php 999, get two orders of Drum & Thigh with Baked Potato Wedges or Italian Red Rice, one 10" Classic Pizza, and 1 Large Pasta (Charlie Chan Chicken Pasta, Chicken Alfredo, or Spaghetti & Meatballs). The Boom Bundles Promo runs from March 15-31, 2018 and is available for Dine In, Take Out, and Delivery in all branches except Brent, MOA Arena, Kidzania, and Camaya. 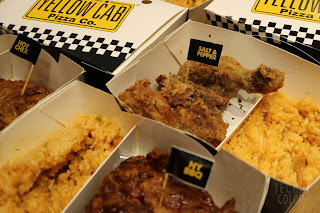 Visit your favorite Yellow Cab store today!